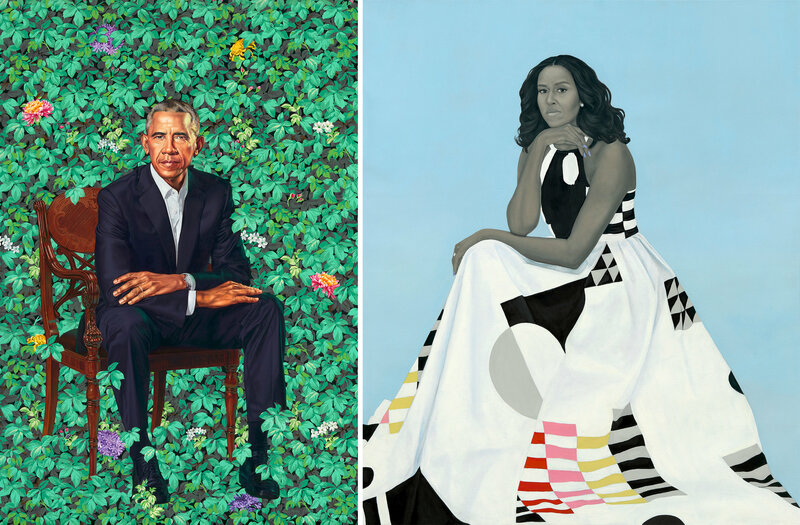 The National Portrait Gallery unveiled the two presidential portraits or Mr and Mrs Obama, in an unprecedented style. What do you think about them? I like his more than hers. His is okay, but hers looks like something a talented fifth-grader would do. That picture just isn't her. I like the style and colors of hers, very glamorous. But agree that it looks nothing like her. The Obama haters are already sending out a parody of his portrait, substituting Mad Magazine's Alfred E. Neuman.